This article introduces a new modified method for calculating the impact factor of journals based on the current ISI practice in generating journal impact factor values. The impact factor value for a journal calculated by the proposed method, the so-called Cited Half-Life Impact Factor (CHAL) method, which is based on the ratio of the number of current year citations of articles from the previous X years to that of articles published in the previous X years, the X value being equal to the value of the cited half-life of the journal in the current year. Thirty-four journals in the Polymer Science Category from the ISI Subject Heading Categories were selected and examined. 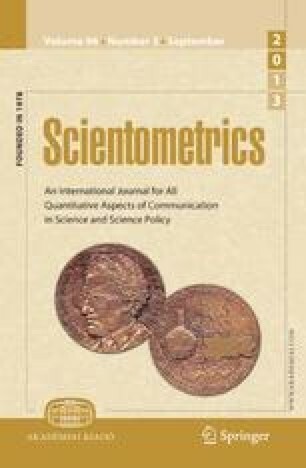 Total citations, impact factors and cited half-life of the 34 journals during the last five years (1997-2001) were retrieved from the ISI Journal Citation Reports and were used as the data source for the calculations in this work, the impact factor values from ISI and CHAL methods then being compared. The positions of the journals ranked by impact factors obtained from the ISI method were different from those from the CHAL method. It was concluded that the CHAL method was more suitable for calculating the impact factor of the journals than the existing ISI method.